Verity is a stainless steel and bronze statue located at the entrance to Ilfracombe Harbour. The sculpture has been loaned to Ilfracombe for 20 years (starting from 2012) by it’s creator, Damien Hirst. When erected Verity became the tallest statue in the UK at the time, standing at 66 foot tall. The sculpture is definitely one that you should see when in Ilfracombe, in fact I doubt you could miss it if you tried! 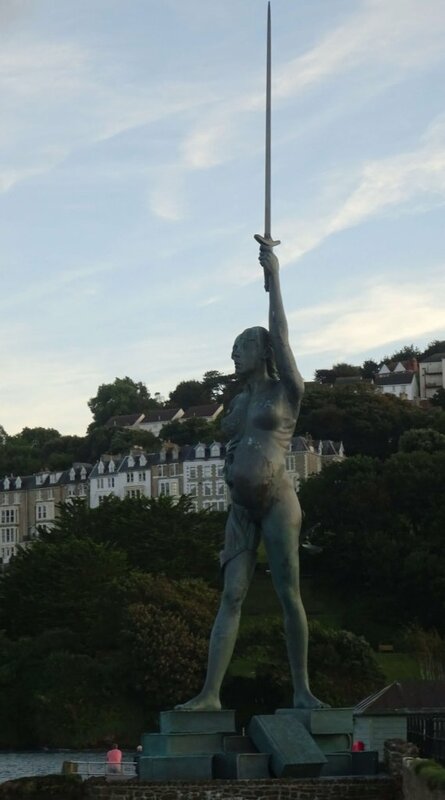 Verity portrays a naked pregnant woman, holding a sword aloft. She also holds a set of scales and is standing on a pile of law books. One half of the statue shows the internal anatomy of the woman, where you can clearly see the unborn fetus. Verity’s stance is taken from Edgar Degas’ Little Dancer of Fourteen Years. 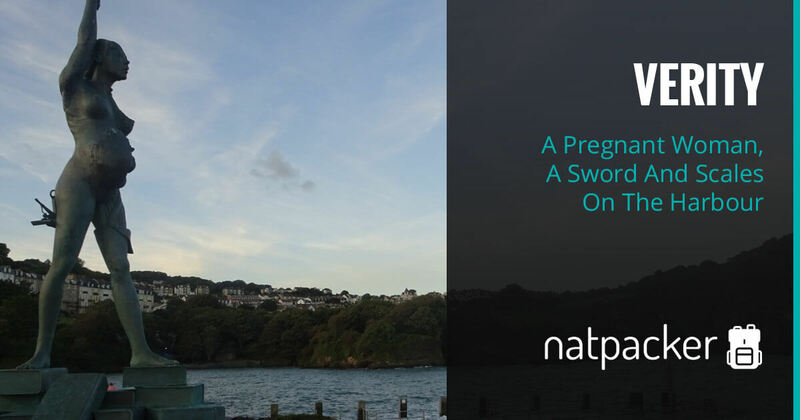 The sculpture is located at the entrance to Ilfracombe harbour, where she faces towards South Wales over the Bristol channel. A 66 foot tall statue shouldn’t be too hard to find really! But here are some directions, just incase! From the Tourist Information Centre, head up the Promenade towards Wilder Road. Once at Wilder Road turn left, follow this road round to the left as it becomes St James Place. Once you reach the end of the road turn left onto Broad Street, follow this round to the right as it becomes The Quay. At the end of this road you will find Verity. If you’re visiting Ilfracombe, it’s worth a trip to the Harbour to see Verity. It’s a bit of an interesting statue, I’d even go as far as to say maybe a little weird! But in a cool way. You also get great views of the harbour from this spot. Want to visit? Go to TripAdvisor to compare accommodation. The reason for it being a pregnant women, I am unsure of to be honest! Maybe something to do with taking truth and justice into the future? I’m sorry, I really don’t know the answer to that! I agree, it is controversial! 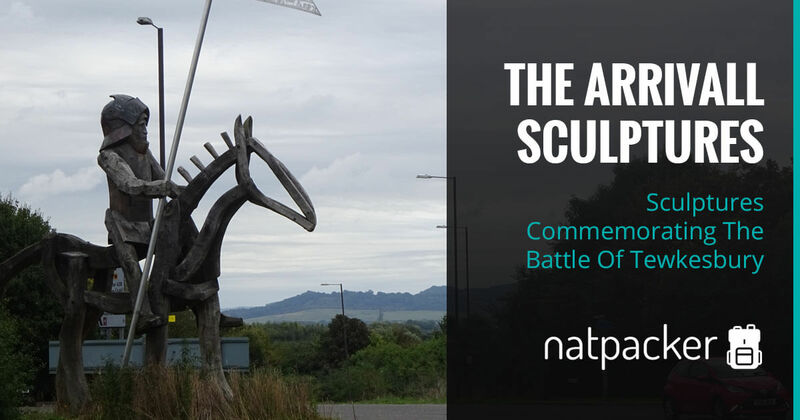 Arrivall is a sculpture located just outside of Tewkesbury, commemorating the Battle of Tewkesbury. 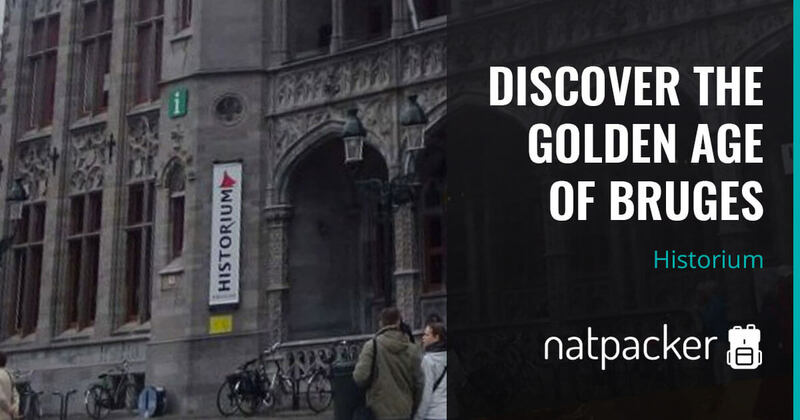 Take a trip to medieval Bruges!